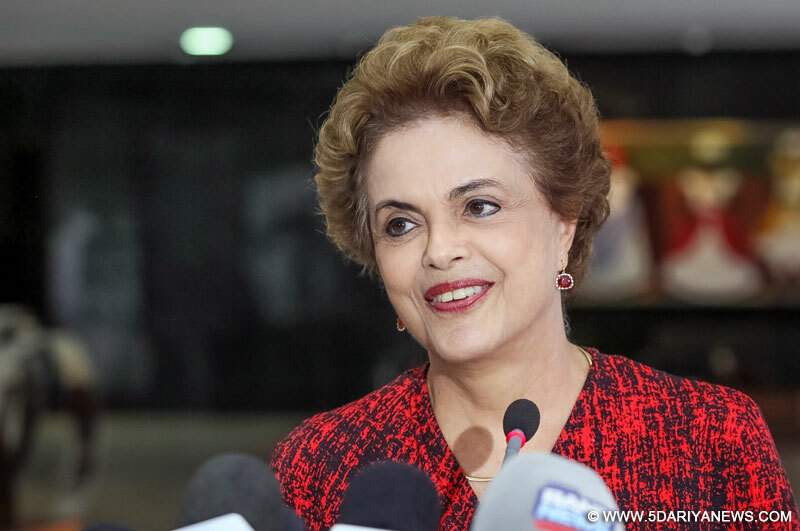 Former President of Brazil Dilma Rousseff said here on Friday that she fears the current effort in Brazil to roll back social programmes is part of a region-wide trend threatening the progress made by left governments in diminishing inequality. During the last 15 years, Latin America has experienced rising incomes for workers and the poor, contrary to the tendency in advanced economies, EFE news quoted Rousseff as saying to participants in a march organised by Uruguay's PIT-CNT labor federation.Brazil's first woman President was removed from office at the end of August by a hostile Congress that accused her of budget irregularities.She was succeeded by her erstwhile Vice President, Michel Temer, who is pushing an agenda of privatisations and increasing austerity at odds with the views of the 54 million voters who gave Rousseff a second term in October 2014. "We have seen people's governments frontally attacked from south to north in our hemisphere. And we see, in Brazil, an attempt to regress, to return to the past, when the immense inequality that still plagues our peoples was even greater," Rousseff said in Montevideo.It was opposition to the government's commitment to reduce poverty and expand access to health care and education that led to her ouster in a legislative coup, Rousseff said. "The tree of democracy is being attacked by funguses and parasites that infiltrate institutions and diminish the rights of populations. I'm talking about exceptional measures within democracy that corrode the fundamental rights won in our continent," EFE news quoted the Brazilian as saying.She argued in favour of further integration in Latin America as a way to safeguard democracy in the individual countries. "Joint action, the shared regional space and the expanded regional economy make up the most important elements for the construction of autonomy and sovereignty," Rousseff said in Montevideo.